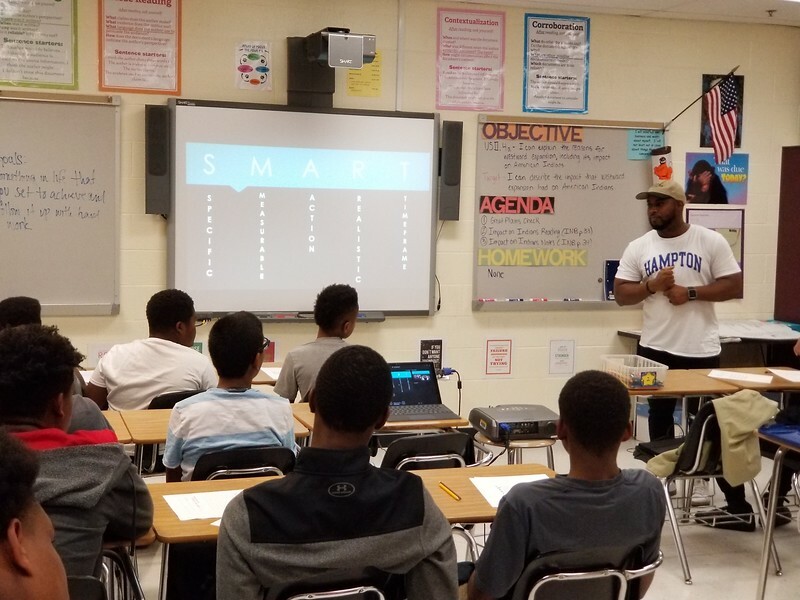 On Saturday, October 21, 2017 from 10:00am - 12:30pm, Alpha Academy held its first session of the 2017-2018 calendar year with the topic S.M.A.R.T. Goals at Potomac Middle School, Dumfries, VA. There were a total of 27 young men in attendance with the support of approximately 7 brothers from Xi Alpha Lambda. The session was led by Bro. Gerald Jackson III. He provided handouts for the young men to write down their goals and to discuss them with the group. He then conducted a briefing to show the boys how to properly construct their goals to ensure that their goals were Specific, Measurable, Actionable, Realistic and that the goals were associated Time table. Finally the boys conducted an exercise to reconstruct their goals in accordance with the S.M.A.R.T. format. This information was passed on to their parents. Bro. Jackson III previously conducted this block of instruction at the Prince William County Team Summit earlier in the year.. The next session will be conducted on November 4, 2017 from 10:00am - 12:30pm to discuss Dangers of the Internet and Appropriate Use of Social Media.